FAQs » Disney World with Little Ones » What is the Pixar Play Zone at Disney's Contemporary Resort? 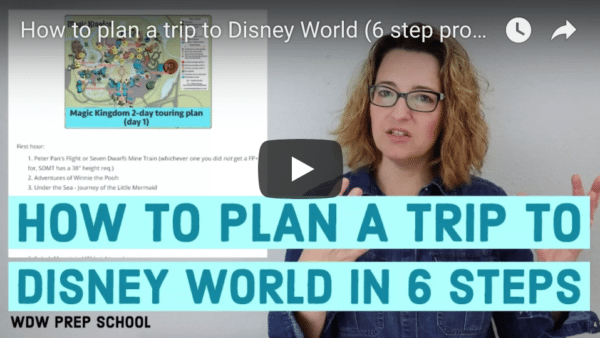 Even though Disney World is billed as a "family destination" that doesn't mean there aren't opportunities for some adult-only fun, too. But, what do you do with the kids? One option for families looking to give their kids a night out is the Pixar Play Zone. Pixar Play Zone is a brand-new kids-only experience that takes place every evening from 6:00 – 10:30 PM at the Contemporary Resort. The cost is $65 plus tax per child (ages 4-12) and that price does include their dinner (and dessert!). 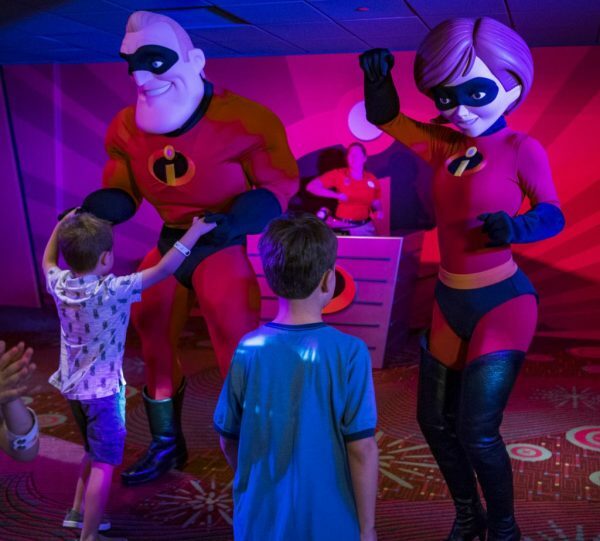 While at the Pixar Play Zone, kids will have the opportunity to participate in fun activities inspired by several popular Disney Pixar movies (like Toy Story, Cars, and The Incredibles). 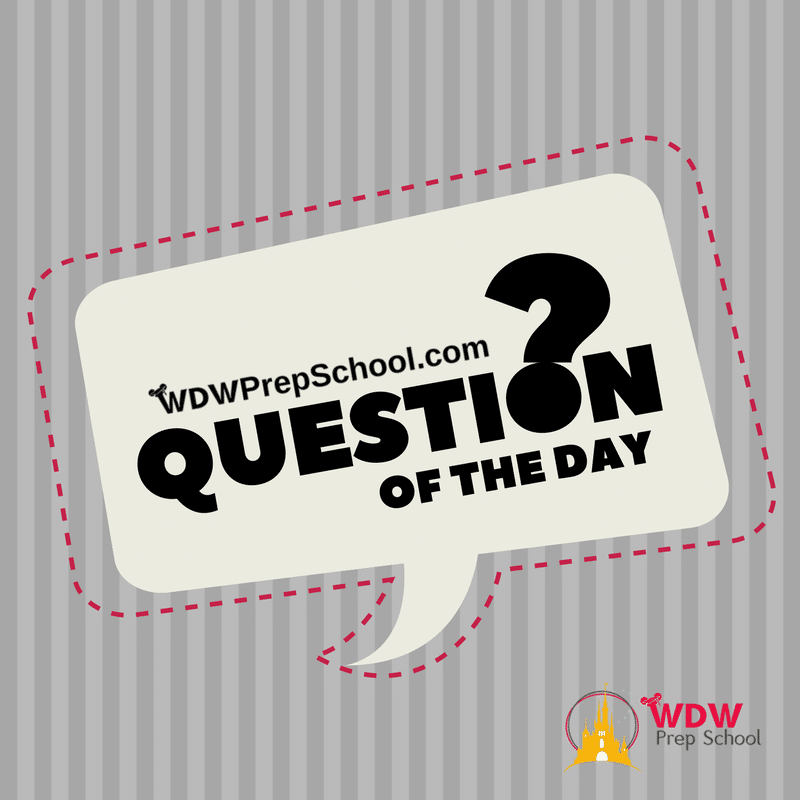 What can my kids expect to do while there? 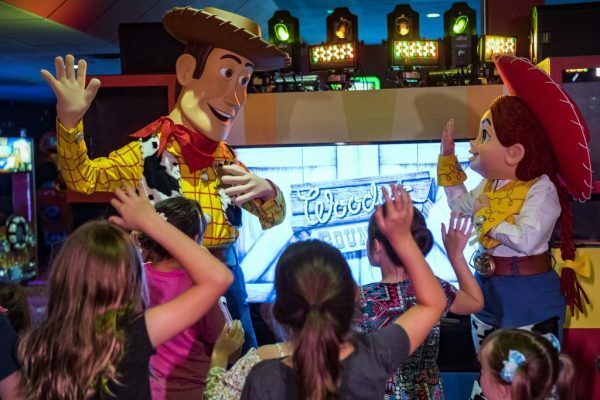 In the Toy Story themed living room, kids can join Woody and Jessie for Woody’s Roundup. Have a Buzz Lightyear fan in your family? In Space Ranger training, kids will get the chance to train to become a Jr. Space Ranger of Star Command. Or if they'd rather, kids can just head over to Bonnie’s Play Room to play with toys of all kinds. 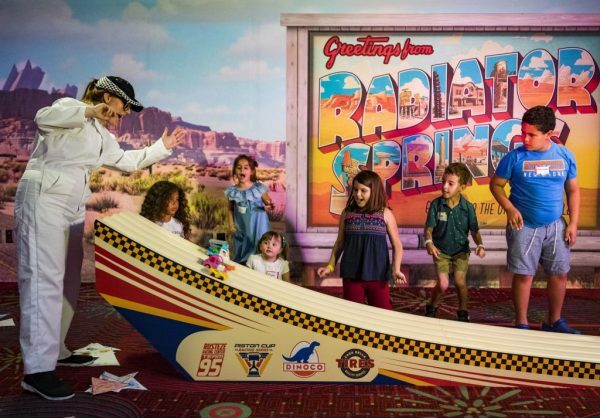 Over in Cars-themed Radiator Springs, guests can build their own race cars and then race them down Radiators Springs Racetrack in the Piston Cup Derby Races. Finally, the night will end with an Incredibles Super Dance Party hosted by Mrs. and Mr. Incredible. While the kids are enjoying their Pixar inspired adventure, the adults can take the time to enjoy the Disney World Resort alone. Need some suggestions on what to do? We have an entire post all about adding a date night to your Disney World vacation that you should check out. This could also be a great opportunity to drop younger children off at the Pixar Play Zone and take older kids to enjoy some attractions or experiences that wouldn’t be enjoyed by the younger group. Ready to book it for your next trip? You can find current pricing and reservation information on the official Disney World website or you can call (407) 824-KIDS to book. I was wondering if anyone has any experience with taking older children (age 11) to this? I see the upper age is 12 but wondering if they would feel like this was too young for them.